In 2007, Merriman incorporated Lights Out as a company and began selling a wide range of clothing and accessories. Since leaving the league in 2012, he has spent a lot of his time litigating when other companies use the phrase. In 2014, he sued Nike for $18 million for using “Lights Out” on some of its apparel, and this year he sued Vermont Teddy Bear Co for using it on pajamas. Now, after Nike settled the two-and-a-half-year trademark infringement dispute in February for an undisclosed sum, Merriman is moving on. Lights Out recently scored a marketing partnership with Bellator, the second-largest mixed martial arts promoter behind the Ultimate Fighting Championship. Bellator, which airs its fights on Spike TV, is using the “Lights Out” name in the ring and on the gear some of its fighters wear. 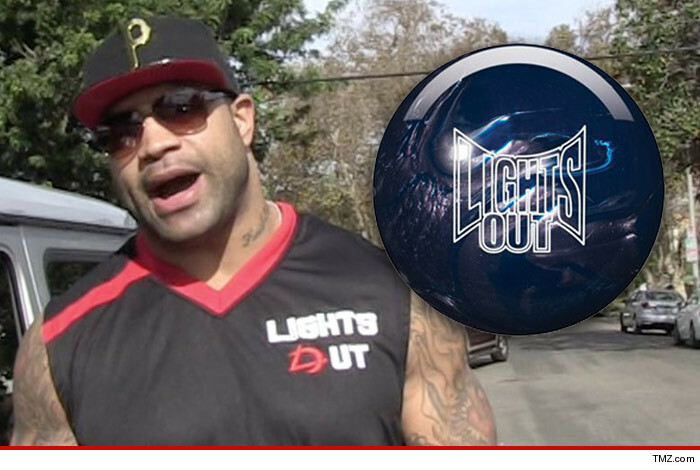 Lights Out is not the exclusive apparel of Bellator, but Merriman says that’s one of his goals. Lights Out apparel has sold in national chains as big as Walmart, and Merriman has aims to make it a mainstream fitness apparel brand. 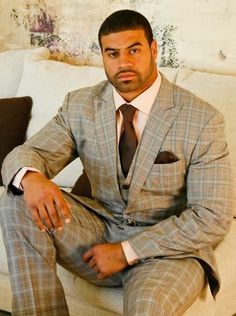 The dispute with Nike was long and ugly, since Merriman had previously been endorsed by Nike; he calls it a “dogfight.” But it also helped him build his business understanding. As part of the lawsuit, Merriman says, Nike had to “open their books a little bit” to him, and he took mental notes for how to run his own brand. “It allowed me to see how business and companies of that magnitude are run,” he says. “It was like getting my MBA in the apparel space in business—with a few gray hairs. You have to go after and really protect your trademark, because at the end of the day, your brand and trademark is only as big as you protect it. Bellator could bring more name awareness to Lights Out—which NFL fans know as Merriman’s nickname, but not necessarily as a clothing brand. The partnership came about from Merriman’s own personal interest in MMA. In 2006, he started training with Jay Glazer (a Fox Sports football broadcaster who also owns an MMA gym). He now appears at Bellator fights as a sort of ambassador, and has aims to sign Bellator fighters to Lights Out endorsement deals. Why are NFL ratings are down? Meanwhile, in the sport he left, television ratings have been down every week this season compared to last year. The NFL’s ratings crisis has become a major topic of discussion, with fans and the media wondering the cause. Is it the election? Cord-cutting? Over-saturation of football? Quality of gameplay? Even the NFL isn’t sure of the cause. Merriman, a three-time Pro Bowler who played for seven years, has a theory. “I do believe the NFL has been too strict on things,” he says, citing examples like the NFL fining Josh Norman $10,000 for a bow-and-arrow touchdown celebration and penalizing Michael Crabtree for what it believed was a “throat slash” motion. “People watch the game because it is gladiator sport,” Merriman says. “People gather together because they love the aggression and the passion that comes with the game of football.